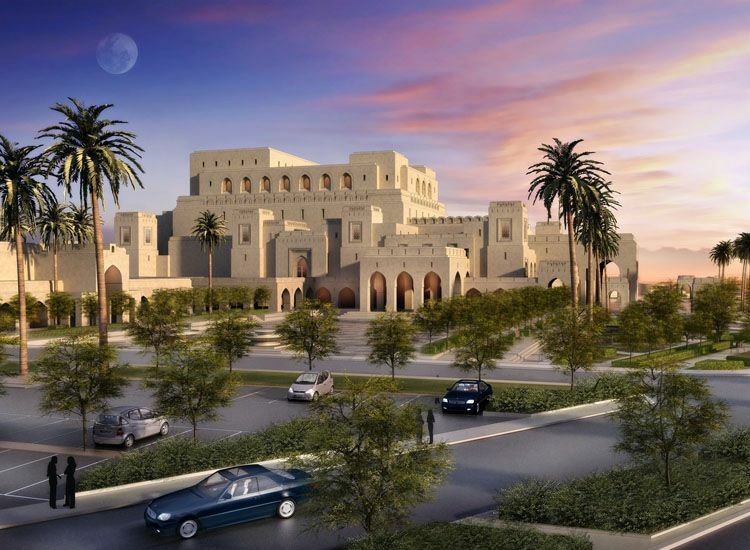 The newly completed Royal Opera House Muscat in Oman has emerged as the premier venue for musical arts and culture in the country, viewed as a milestone in the evolution of a contemporary architectural style that the Omanis are very proud of. The building can accommodate 1,100 people and includes a concert theatre, auditorium, landscaped gardens and an art centre for musical, theatrical and operatic productions. 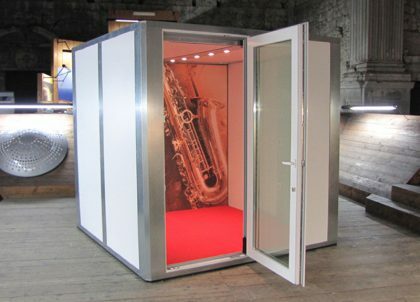 In January 2011, Amadeus were asked to provide Musician and Audience chairs for the new Royal Opera House concert theatre and auditorium. We provided ergonomic information and suitable chair options for a variety of uses for the Opera House. Our MD, Anne Holliday met with the Technical Director, Geoff Wheel in the UK showing sample chairs of high quality including the Opus 1 range of musician posture chairs and a folding chair, all with storage trolleys, together with other types of audience seating for rehearsal and meeting areas. We were then requested to supply the chairs in their chosen fabric and colour – no problem! Due to the tight timing and placement of the order, we arranged air freight in time for the opening of the opera house on 7th September 2011. The chairs are being used by Palma Opera now, and Geoff Wheel commented just before the opening night “the musicians from Parma Opera think they are very good!”! Many thanks to The Royal Opera House Muscat, Oman for featuring in our Case Study.